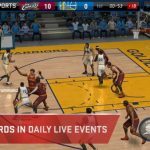 The popular mobile card-collecting game, NBA All Net, has received its seventh update a few weeks ago, so we’ve thought, this is a good time to share with you a bunch of tips and tricks. 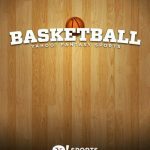 While we gave you a couple of general tips for NBA All Net some time ago, this time we dug deeper and have come up with even more hints to build a strong basketball team. The game allows you to choose from more than 500 NBA players from the past and present. Like you would in trading card games, or TCGs, the game allows you to train and evolve players, unlock their own unique skills, and play your decks against thousands of other players from all over the world. 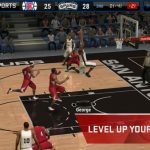 There are multiple game modes here, as well as live challenges and 3D match graphics, allowing you to enjoy the 2015-16 NBA season in a different way than you normally would. Now, it’s one thing to choose your lineup in a game like NBA 2K16, where you choose a pre-existing team of 12 to 15 players, choose your starting five, and play against the AI or your friend with traditional basketball rules. 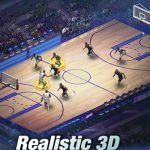 But this is a totally different kind of basketball game, albeit one that’s similar in concept to MyNBA2K16. So with that in mind, let’s take you to our NBA All Net strategy guide and talk you through the things you need to do to win more consistently. Basic strategies, or management modes as some call them, are based on the basic types of strategy the real NBA coaches use. You can go offensive-oriented, defensive-oriented, or balanced, and when starting out, you generally want to take a balanced approach. Your players wouldn’t be too good when you’re starting, so it makes sense having a team that’s balanced across the board, rather than having a team with one star player, but a supporting cast full of scrubs. Basketball is a team sport, so try to make your team balance. If you know you basketball, particularly the NBA, then we probably don’t need to explain this much, but for the benefit of more casual fans or non-fans, here’s a backgrounder on the five positions in the game. Point guards are your floor leaders; they’re usually your quickest players and best ball handlers and deal out a lot of assists. Shooting guards are usually quick, and score majority of points through three-pointers, jump shots, and layups. Small forwards score in a similar way to shooting guards, but are bigger and grab more rebounds. Power forwards tend to score from midrange and in the paint, while grabbing rebounds, while centers are often the tallest players, and best in rebounding, shot blocking, and inside shots. Take note of these general strengths when trying to upgrade each player. But speaking of that, let’s move on to the next tip, which focuses on just that. Considering all that we told you about positions, it won’t be a good idea in most cases to make a purely defensive player (e.g. Bismack Biyombo of the Toronto Raptors) into a stud scorer, or, vice versa in the case of transforming an offensive gunner into a defensive threat. Instead, upgrades should be based on where your players are strongest. Focus on ball handling, and maybe stealing and three-point shooting for point guards, shooting skills for shooting guards, midrange shooting for small and power forwards (block, steal, and dunk work here too), and rebounds, dunks, and blocks for centers. You should also be aware of your team’s premium level, because as that level goes higher, you’ll be able to unlock more perks. Perks can be used to increase your team’s stamina and energy, for instance, and they can also remove certain in-game limitations, such as restrictions on how many matches of a certain type you can play each day. Simply unlock new levels to increase your premium level, and as a bonus tip, watch out for the reward pack when you level up. That’s going to come with random perks as well. Moving on to the currency used in NBA All Net, there are three types you can earn in the game. Gold is the common currency, and you can use it to buy “common” items in the in-app store, and for gear upgrades. Emeralds are the first premium currency, and you’ll use them first when you’re moving from ranks 6 to 8. Diamonds are the second premium currency, and the most premium of the three types in the game. Many advise players to use diamonds to expedite their success in the game, but as is the case with any other premium currency, it will be better if you save your diamonds for when you absolutely need them. You can buy diamonds with real money in the in-app store, but unless you’ve got lots of money to burn, you probably wouldn’t want to part with your hard-earned cash for some in-app purchases. Instead, you can earn free diamonds (or free currency, in general) by logging in every day. The game awards you with consecutive login bonuses for each day you’re playing the game. Then again, you don’t really have to play extensively; simply logging in will cut it, and count towards your consecutive days logged in. In addition, you can earn more diamonds by playing well in the league matches. There is a catch here, and that’s having yourself a formidable team at the time you joint the leagues; you can’t expect your initial team of scrubs to dominate its league. You can rank high by minimizing your losses, and if you’re up there in the rankings, that marks another good chance for you to earn some diamonds for free. So as you can see, there are many ways to get free diamonds, and you don’t really need to spend real cash for them. Each player has five different levels, same that the gear you can equip onto them – Common, Uncommon, Rare, Legendary, and Mythic. Now you can find most gear in the in-app store, but Mythic gear, in particular, can only be won if you beat your opponent in a Legendary match. But when it comes to general equipment, the Steal jersey is best for point guards and shooting guards, the Dunk headband for frontcourt (small and power forward, center) players, and the goggles for both point and shooting guards. You can also train your players individually in an effort to improve their stats. And once they’re all maxed out for their level, that’s the time when you can evolve them, thus giving their stats a higher cap. There’s really no hard, fast rule when training and evolving your players, but many recommend working your way from the weakest player to the strongest, so that you don’t have any weak links on your team. Drafting players and winning Legendary challenges are the two main ways in which you can add more cards to your deck. Drafting, for starters, isn’t as cut-and-dry as it is in the real world; there’s an element of gambling here, and you may end up wasting those precious diamond. But if you luck out, you can draft yourself a superstar player and give your deck a nice boost. Since drafting is such a risky proposition, it would invariably be safer to beat the Legendary challenges. Ranking high up in the standings, preferably in the top 100 to 250, will give you the best chances of earning a substantial amount of Legendary cards, so go for the win and minimize your losses; keep that winning percentage high! Additionally, the fine folks behind this game have limited-time special events which you can join. Placing well in these events could win you some neat prizes, so if there’s a special event coming up, be sure to make time to play, and as we’ve said several times before, play to win. You can have the world’s most talented lineup, only for it to go pfft just because the chemistry is dodgy. Remember the Kobe Bryant, Steve Nash, and Dwight Howard-led Lakers? Real-life examples aside, you would definitely want to put a premium on chemistry in NBA All Net, as that determines how well your players gel together as a team. A cohesive lineup will have a better chance of executing your game plan as they should, and keeping that in mind, you’ll want to pay attention to the teams your players play for in real life. They’d usually play better if teamed with a former teammate or if playing for their original team. For example, you can have a lineup with Tim Duncan, Tony Parker, and Kawhi Leonard (all current San Antonio Spurs) or Stephen Curry and Klay Thompson (the Golden State Warriors’ “Splash Brothers”) for a nice chemistry boost. It won’t be much in the grand scheme of things, but it always helps. Hope you’ve enjoyed our exclusive NBA All Net ultimate guide. In case you know additional tips and tricks for the game, please share them with us, fellow players!